This summer, I decided to sit on main street between teaching classes and sketch the "summer scene" of people coming and going. I did a series of 4. They may become studies for future woodcuts or just remain as fun pastel sketches. 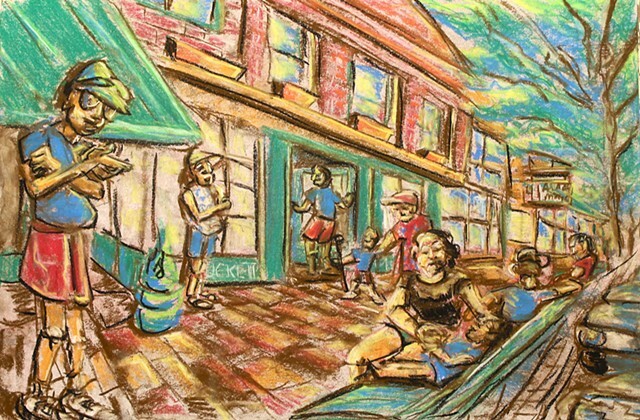 This one captures the scene outside the pharmacy that has a soda fountain and sells ice cream, hot dogs, etc. A very popular spot.